Every time you reach out with a problem, our team responds in less than 5 minutes. ALL feature requests are taken into account and prioritized. Start running your own rewards in minutes and incentivize customers to join your program. 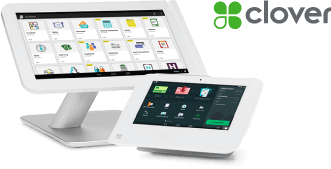 Cashiers get used to our intuitive workflow in minutes. 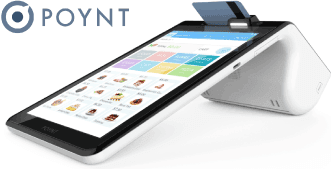 My Rewards program is easy to integrate into our POS systems and intuitive to manage for our clients. With flexible reward programs and features like text marketing and detailed analytics, our clients can execute targeted campaigns. My Rewards allows our business owners to incentivize customers to shop while innovatively marketing to them. To give a bit of insight, my old program had about a 1 out of 20 customer sign up rate, and I was using a paper card to facilitate loyalty reward. Now, I'm capturing 80 - 90 percent of customers across my corporate stores, with a 2/3 text opt in rate, My weekend (text based sales times) are almost double what they were at this point last year. My Rewards lived up to our expectations – it was very easy for employees to adopt it and start rewarding our customers daily. Our regulars would also remind us “Hey, we need to redeem some Reward $ today”. Campaigns are so easy to do – we used to have a separate solution for SMS Marketing, which took me much longer. My Rewards is affordable, powerful and easy - I’d definitely recommend it to other retailers! My Rewards is very intuitive and it helps me increase business and profitability. Loyalty members come more often and spend more with us. Employees were easily able to get accustomed to the program and sign up lots of customers, who in turn like to get ‘venue dollars’ back for their loyalty. Now, I have a 100% digital solution with integrated SMS campaigns, which I find VERY convenient. I installed it in my 2nd location since opening and adoption skyrocketed.